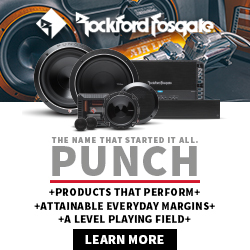 For the first time, Pioneer Electronics is displaying both OEM and aftermarket car audio/infotainment and safety products at CES. It revealed for the first time names of some of its OEM customers and displayed systems it produces for them including Ford (Mustang), Lexus (RX), Honda (Accord) and Scion (tC). Pioneer is showing new technology including a heads up display (HUD) using laser technology instead of the typical LCD. 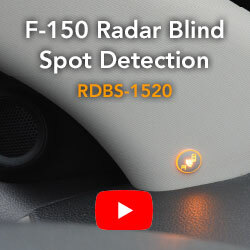 With laser, the system can project a color image that seems to appear 30 to 40 feet in front of the vehicle, so navigation instructions appear where the driver can easily see them while viewing the road. Another new product is OLED (organic LED) lighting that can actually be sprayed onto the car. So a car maker could spray a patch of OLED on the windshield to act as a third brake light. Or the whole A pillar in the car can become a brake light once sprayed with OLED, so there’s no need for a special tail light assembly. 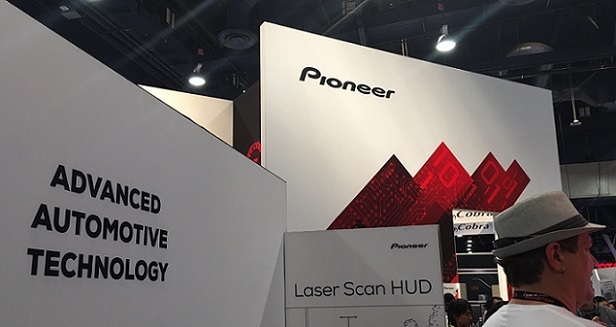 Pioneer said that since it has spun off its home audio and DJ divisions to become an automotive entertainment company, it brought its OEM technology to CES for the first time to exhibit as a full automotive vendor. Pioneer is also showing new technology in LIDAR (laser) and driver safety that could be used for either OEM or aftermarket products. A prototype cockpit is on display at the Pioneer CES booth with driver assistance technology including pedestrian warnings, a new “auditory” interface, a fragrance and bio-sensing system, and the LIDAR technology for use in lane detection and vehicle positioning. Pioneer says its LIDAR has the advantage of lower cost and miniaturized size, so that it may be used in more mainstream cars or products. “We are not designating these as aftermarket or OEM. It will take time for customers to dictate where they will fall,” said Pioneer’s Russ Johnston. Pioneer also offers cloud-based systems and mapping systems. Currently, OEM represents 57 percent, and the aftermarket 43 percent of Pioneer Corp.’s annual revenue of $3.4 billion. Does the HUD generator contain Microvision’s laser tech?